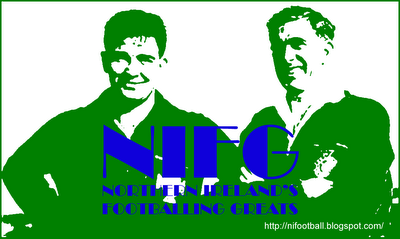 Representative Honours: Ireland: 1 Full Cap (1954), 12 Amateur Caps (1951-1955); Irish League: 3 Caps (1953-1954). Club Honours: (with Coleraine) City Cup Winner 1953/54. Frank "Bunty" Montgomery was a highly rated full-back who many observers reckoned could have made it in England had he preferred to move across the water. Malcolm Brodie noted of him: "A sound positional player, he kicks accurately with either foot, and displays, when the need arises, excellent ball control." As captain, Montgomery led Ireland to the inaugral British Amateur Championship in 1954, a feat for which he and the rest of the team were rewarded a special plaque by the Irish FA. 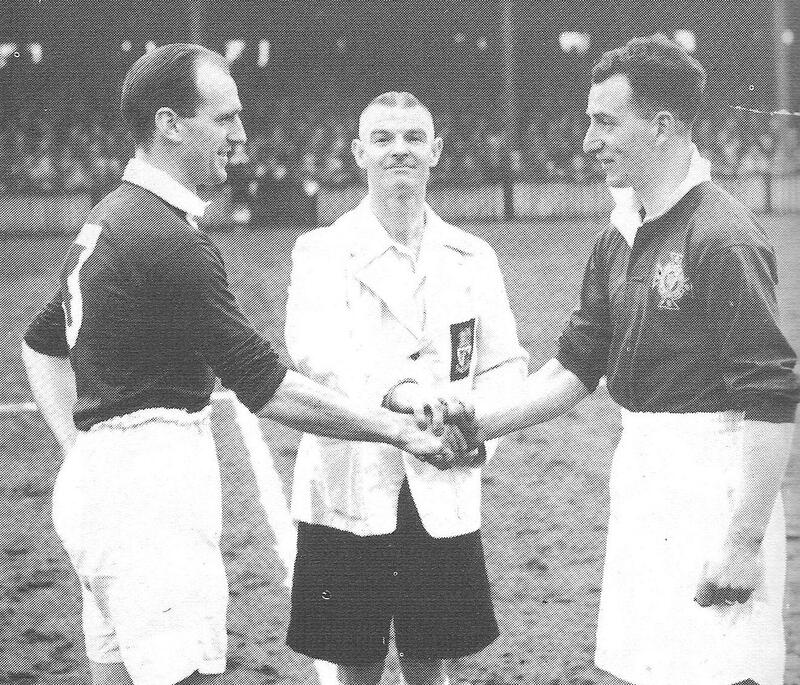 Later that same year he won his only Full international cap, so becoming the first Coleraine player capped by Ireland since Tommy Priestley in 1932. Montgomery's progress was slowed by a lengthy injury in the mid-1950s, but he recovered to remain a Coleraine regular for many years. Summary: 12/0. Won 6, Drew 1, Lost 5. 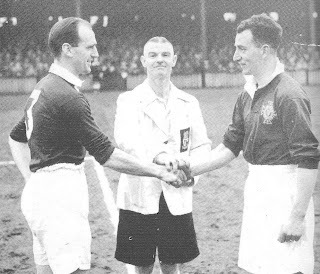 Handshake photo from Grant Cameron's "Coleraine FC - A History".